『물리화학』물리화학 전공서 개정9판. 이 책은 물리화학의 핵심적인 개념들을 설명한 교재로 중요한 수식들의 유도 과정을 상세하게 증명하여 그 식을 쉽게 이해하고 응용할 수 있도록 구성하였다. 화학에서 평형을 논의하는 데 필요한 개념과 양자역학적 관점에서 개개원자와 분자에 관한 내용을 정리하였으며, 화학 변화가 일어나는 과정을 고찰하였다. 책 뒤편에는 수학과 물리학의 기초 지식들을 제공하고, 웹사이트를 통해서 책에 수록된 도표와 그래프를 편리하게 참고할 수 있도록 했다. 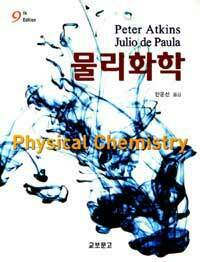 People either like Atkins' Physical Chemistry or loathe it. I like his book. The problems at the end of each section are excellent. I like how justifications for fundamental concepts are provided. One of the better modifications of the book was moving the relevant mathematical reviews to the end of the chapters where they apply. I believe this was in the 8th edition (I don't remember), but in the back there is also a section about where the relevant equations come from. The publisher also made sure to use better binding this time around. The binding is very tight compared to the 8th edition. I still feel that too many of the theoretical problems are critical concepts and should not have to be proved by the student. I do understand having them prove some, but those should mostly be proved by the author or instructor. Proof at this level should be trivial results that are obvious extensions of fundamental concepts. 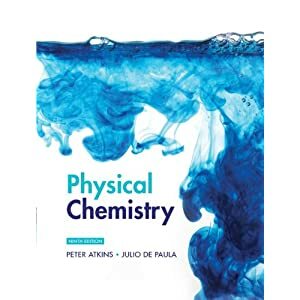 Outside of that, Atkins is one of the better junior level physical chemistry books. If you need something more advanced, McQuarrie is a much better text for an advanced physical chemistry class.